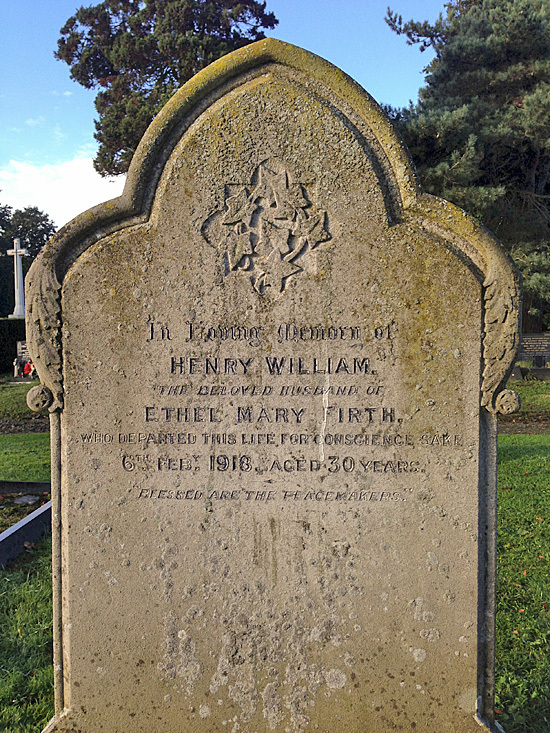 Former shoemaker Henry William Firth, dies at age 30 of pneumonia at the work center for conscientious objectors at Princetown on Dartmoor at age 21. He is a Methodist preacher. Having been in prison for nine months, he has become so ill that he accepts alternative service at the Princetown stone quarries. Admitted to hospital after collapsing at work, his request for eggs is refused on the grounds that they are needed for soldiers at the front. Eventually the authorities relent and three fresh eggs are granted to him but they arrive the day after his death. Captain (Commander) Charles Alexander Lees (Royal Indian Marine) dies on service at age 63. He is the son of the late Reverend William Lees.